Sometimes there is the request to install AutoOCR to a different drive than “C:”. 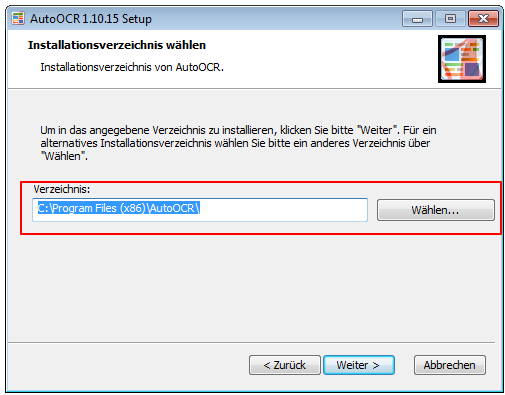 For that some adjustments were needed which we implemented in AutoOCR beginning from version 1.10.16. 3.) Creation of a “FREngine10.txt” file with a single line which contains the path to the Abbyy OCR DLL (FREngine.dll). This file then gets copied into the installation directory of AutoOCR. 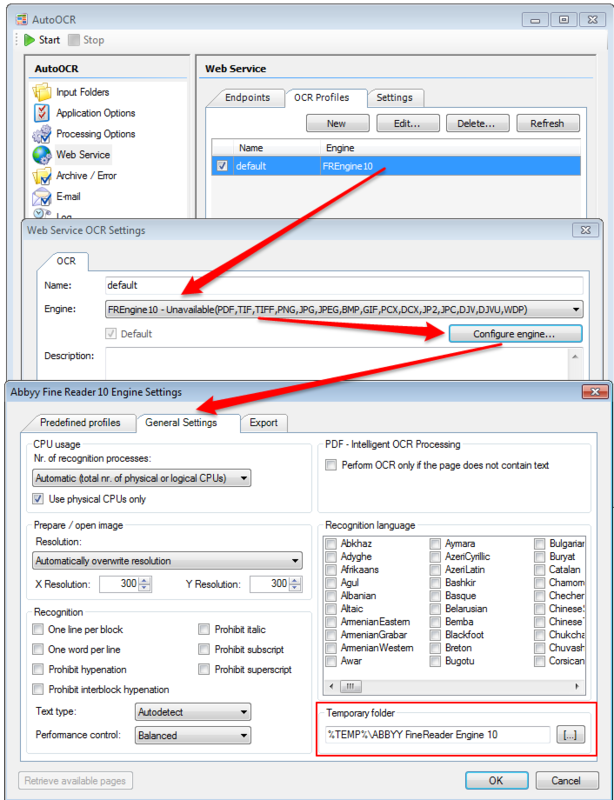 If this file is available the Abbyy OCR DLL gets searched like stated there – if it is not available the default (C:\Program Files (x86)\Common Files\MAYComputer\OCR10\FREngine.dll) is taken. 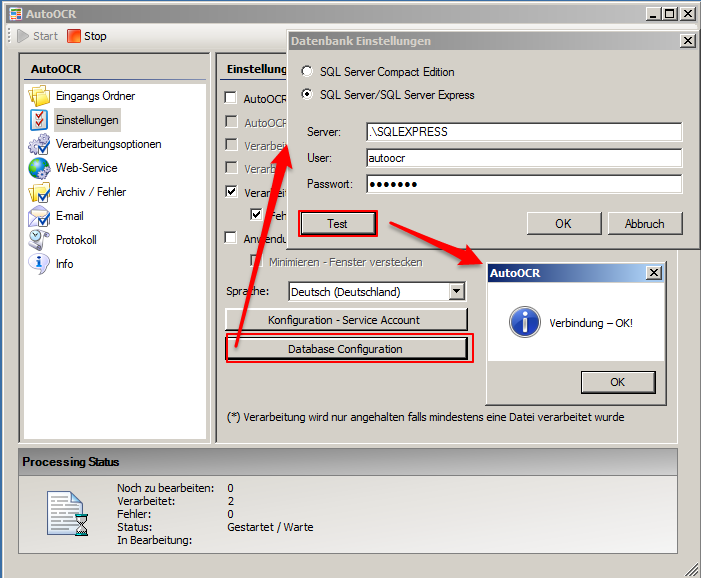 Like for the FileConverter Pro (FCpro) there now also is the option for AutoOCR from the version 1.10.15 up, to use the more efficient SQL server express instead of the SQLCompact database. 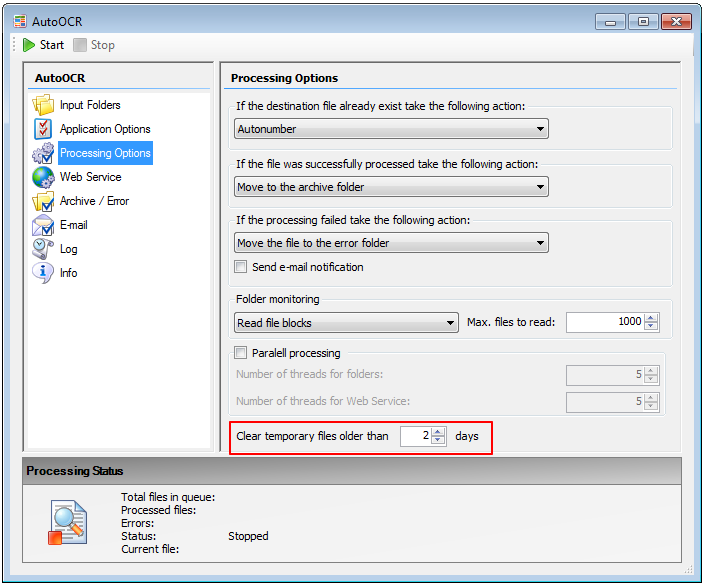 PDF2Printer is installed as a service and on default runs under the “LOCAL SYSTEM account”. This account however has no permissions to access network-ressources. Therefor with the standard installation it can’t be output to a network printer. These also aren’t included in the file “printers.pnames”. To be able to use network printers the service has to run under a user account which has the according rights in the network. The best way is to log into the system with the user which should be used and to check if the user “sees” the printer and is also able to print on it. After that the PDF2Printer server can be configured and started under this user. With that all printers (local & network) which are available to the user should be contained in the “printers.pnames” file. With the current version of the Abbyy OCR engine and with high document come-up it could happen that the *.tmp files created at the processing don’t get deleted and fill up the hard-drive. 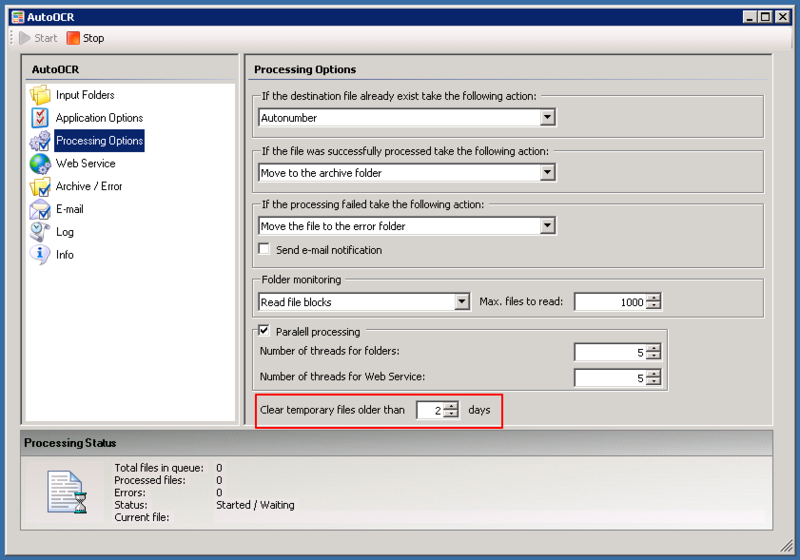 To solve this problem we implemented a function which automatically deletes the *.tmp files from the folder: c:\windows\temp\Abbyy Finereader Engine 10 which are older than x-days. The default setting is 2 days. 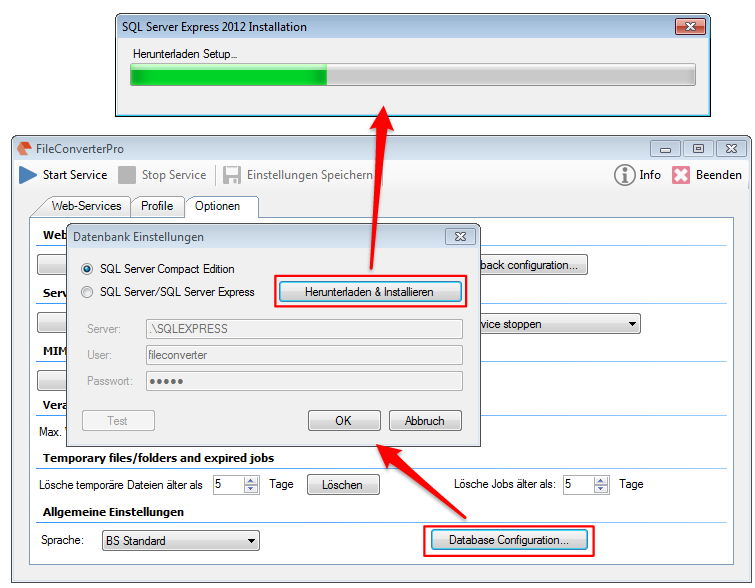 All jobs of the FCpro server get stored into a SQL database internally. With very high come up it could happen that this default installed and so far used embedded SQLCompact database isn’t efficient enough and is reacting slowly. 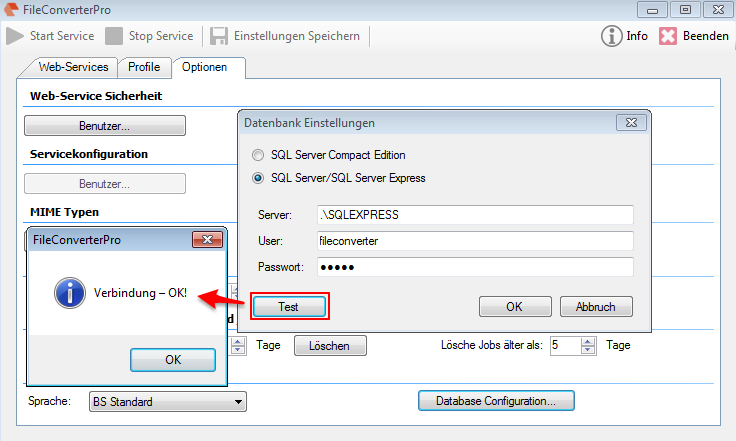 Therefor with the new version 1.0.14 there optionally is the possibility to download and use the more efficient SQL server express database.